Latin America and the Caribbean is the region least familiar to India. There has been scant historical migration, interaction and contact. This book attempts initially to familarise the reader with the reality of that region. The early chapters trace historic developments, political, economic and social movements, and disaggregate a seemingly homogenous geopolitical agglomeration. 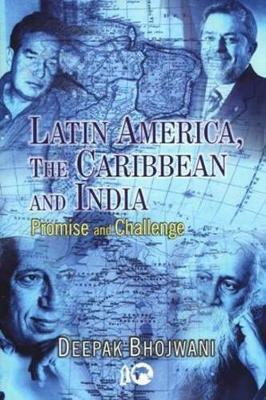 Subsequent chapters analyse the political, economic, commercial, cultural and other relations with India. The region of thirty-three nations holds much potential for India, with enormous resource endowments, progressive governments, impressive growth rates and social policies that have anchored stable democratic regimes. The reader gets to look beneath the veil at some aspects which call attention. The author outlines the promise and the challenge, and makes recommendations on the way forward to a more effective and fruitful relationship.